Ribbon makes beautiful no-sew fabric roses just by folding, twisting and wrapping. 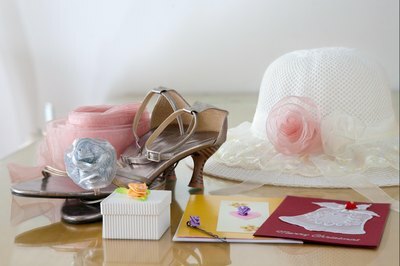 Use small satin ribbon roses to decorate scrapbooks or handmade greeting cards, or wire onto a hair comb or bobby pin to make hair accessories. 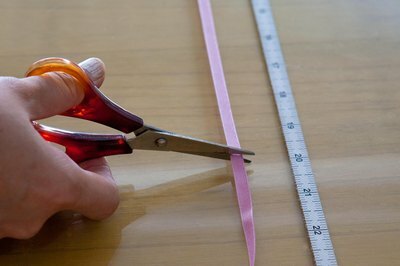 Use double-sided ribbon or grosgrain for beautiful effects. Wire-edged ribbon roses are larger and work well in a bouquet or centerpiece, attached to hats and shoes, or to enhance a bag. 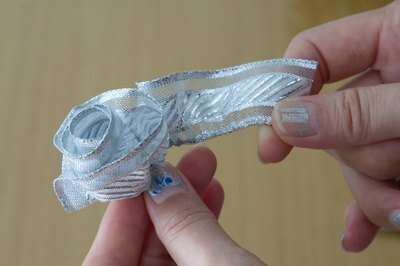 Use plain, one-color ribbon or ribbon with a pretty pattern for a distinct ribbon rose. Cut a piece of ribbon 20 inches long. This makes a rose that is easy to handle. Once the technique is mastered, shorter pieces are used. 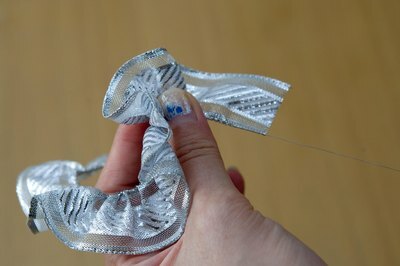 Place the ribbon on a flat surface, shiny or patterned side down. Make a right angle in the middle of the ribbon by folding one end down. The ribbon should look like a right side up, backward No. 7. Fold each end across the right angle to make a stack of folded squares. Fold down over the right angle, then sideways to cover the right angle, then up and over again. Stop when the stack measures about 1 inch high. There will be a few more inches of ribbon not folded at each end. Let go of the squares and the ribbon will spring or look like an accordion. Hold one unfolded end of the ribbon and gently pull the other unfolded end. The squares will bunch together and look like a rose. Once the rose forms, stop pulling. Turn the rose upside down so the loose ends are up. Hold it in one hand between the thumb and index finger pressing in the center of the rose. Tie a knot at the back with the two loose ends. Do not pull too hard or the whole thing will unravel. Cut 22 inches of wire-edged ribbon and tie a knot at one end. Go to the other end of the ribbon and pull the wire out of the ribbon casing on one side and one edge. Pull the wire and gather the ribbon until it ruffles and the ribbon starts to curl. Leave the exposed wire free; do not cut. Hold the knot in one hand and shape the rose with the other hand by wrapping the ruffled ribbon around the knot over and over. The first wrapping is tight to create a bud and the others are looser to create the petals. Stop wrapping when the ribbon runs out and the wired end is near the rose. Tuck the raw edge down and catch it with the exposed wire. Wrap around the knot to secure the rose in place and cut any excess wire.